The bedrooms vary in size; each one is outfitted with a luxury bed and materials of wood on the floor and stone on the walls. Bathroom equipped with rain shower and bathtub. Surface area; from 24 m² to 35 m². Bathtub and Rain effect shower. Bath Robe. Amenities. Double Bed 1,60 x 2,00 m. Wooden floors. air conditioning and heating. Cable and Wifi internet access. Canigó mountain or garden views. Flat TV 40". 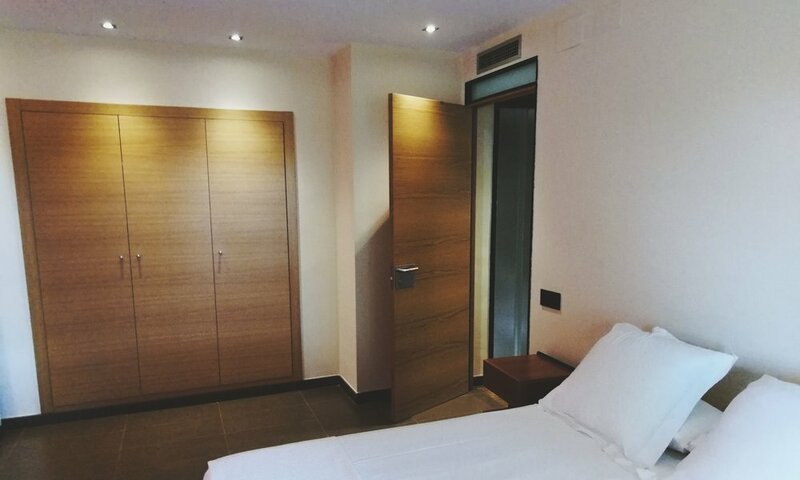 Prices by night in standard double room . Breakfast included & VAT. Extra bed: 35€. Pets: 6€. Surface area 24 m². Double bed. 1,60 x 2,00 m. Bathtub and Rain effect shower. Amenities. Wodden floors. Air Conditioning and heating. Wiffi connection. Bathrobe. View over the garden. Terrace of 25 m². Flat TV 40". Prices by night. VAT included. Extra Bed 35,00€. Pets, 6,00€. Breakfast not included. RESERVATION will be confirmed on receipt of a credit card number VISA or MASTERCARD, and its expirity date. No smoking in guest rooms. Mas Oliveres doesn't have the conditions required to accomodate children under 10 years. HIGH SEASON: from 31.05 to 30.09 ; from 26.12 to 06.01; Christmas, Easter & Holidays.